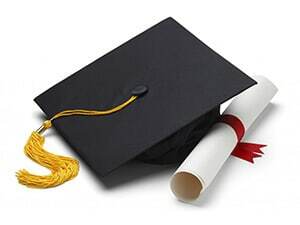 The use of fake degrees and certificates has been going on since antiquity and is a worldwide problem. They ensure safe passage through immigration, employment, promotion and professional recognition. Fake degrees have become a marketable tool. Since it is difficult to earn, they are bought. DNA Forensics Lab Pvt. Ltd. provides Certificate Verification by Forensic Experts. We verify the certificates of all kind by using various methods, principles, and modern techniques. DNA Forensics Laboratory Pvt. Ltd. has a team of experts who have years of experience in this area. We check the spelling and other common errors since fake certificates are usually full of careless mistakes. The quality of paper is quite good. The next important thing to check is the accreditation. Is the university an authentic one? There are websites where you can check the authentic universities and colleges. Many degrees and certificates incorporate stamps, holograms or watermarks. Now days it is quite easy to get fake stamps or holograms made. We at DNA Forensics Laboratory Pvt. Ltd. also verify these, which a layman cannot. These stamps and holograms look authentic to the naked eye and our experts put them through various steps of screening to come out with results. DNA Forensics Laboratory Pvt. Ltd. is also famous for signature verification and document analysis. This enables it to verify the signatures on the certificate as well. For any organization, it is very important to get the certificates checked and verified. Most people try to forge the certificates because of age limit, percentage or additional degrees required to qualify for a job. We can verify the history, records, any degree or certificate at a reasonable cost. Our results are accurate and fast. Bogus universities and fake certificates are quite common, as a common man cannot assess these. They seem to be authentic to the interviewer also. Verifying each credential becomes difficult, expensive and time consuming. With an experience of years and an expertise in verification, we understand the intricacies of working with universities and other institutions. Don’t be a victim, stay ahead and join hands with DNA Forensics Laboratory Pvt. Ltd. to make a check. Please feel free to call our Forensics expert for any further communication at +91 8010177771 or you may schedule an appointment with us by whatsapp at: +91 9213177771.